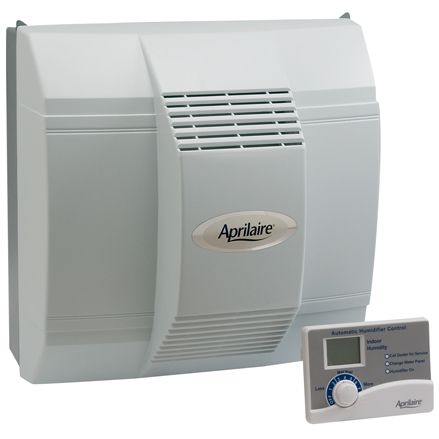 The Aprilaire Model 600 Humidifier is a whole-home solution that helps you achieve total comfort through humidity control. 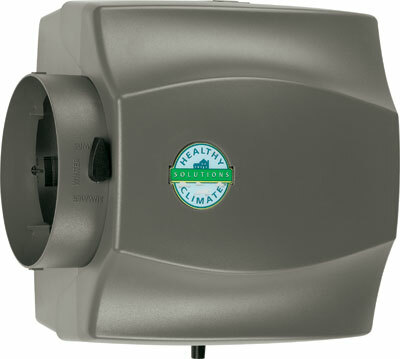 The Model 400 is a drain-less humidifier, featuring evaporation technology to minimize water use. The process of adding humidity into the indoor air is called humidification. Humidity control is one the most important aspects of total indoor air comfort. Reduction in relative humidity causes dry air. Low humidity can increase your likelihood of getting colds, flu and other upper respiratory ailments. Viruses that cause colds and flu thrive in low humidity. And, according to The American Society of Otolaryngology, dry air can make people more susceptible to infection. In addition, dry air can aggravate allergy and asthma symptoms. Low humidity also causes Painful Static Shock, Bloody Nose, Itchy Eyes & Skin as well as a Sore Throat. Low humidity can cause damage to your home such as, cracking to your walls, woodwork, and your hardwood floors. Electronics can fall victim to static electric charges, requiring expensive repair or replacement. 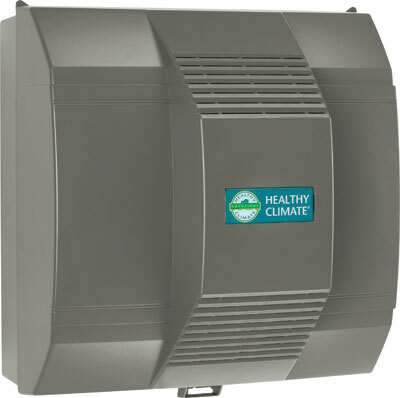 Low humidity can cause higher energy costs. Dry air can make you feel too cold at normal temperatures leading you to turn up the thermostat. This leads to higher energy bills. What Type of Central Humidifier is Right for Your Home? 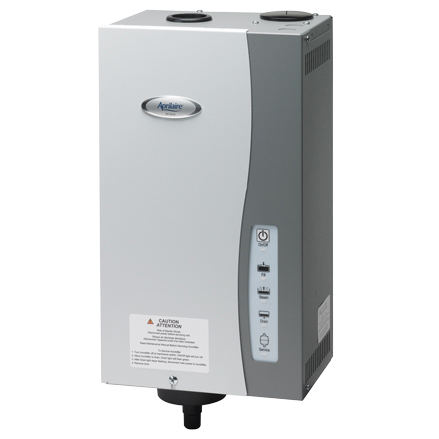 Choosing the right central humidifier system should be done by your licensed HVAC contractor. 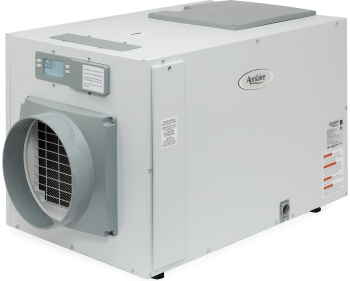 Many factors such as square footage, number of rooms, construction type, and type of heating system are necessary to determine the proper size of the humidifier. Generally, central humidifiers come in three distinct categories : Large By-Pass,Power & Steam type humidifiers. 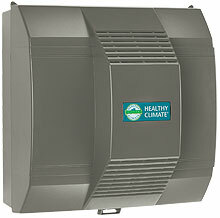 Large By-Pass humidifier is the most popular system. Ease of maintenance, installation, durability and price makes this humidifier popular among home owners. In this application this humidifier can be installed on return or supply ducts. 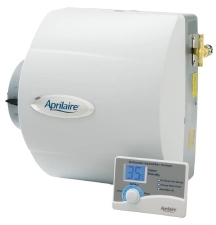 This humidifier is ideal for small to medium sized homes with minimal humidity problems.Covers Up to 4000 Sqf. 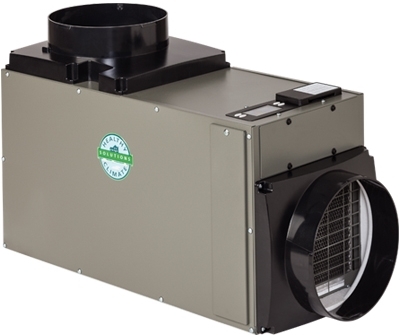 Power humidifiers have dedicated blower fans that push the fresh air over the evaporator pad to deliver the humidity directly into the supply duct. This system is ideal for larger homes with medium to high humidity problems.Covers Up to 4500 Sqf. 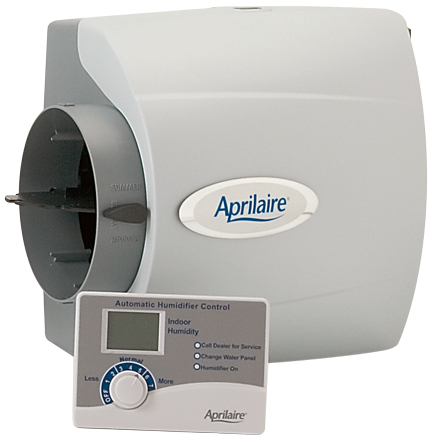 The most advanced whole home humidification system. Steam humidifiers are ideal for larger homes with many bedrooms and high ceilings. High voltage power is required for installation. The Steam Canister must be replaced once a year. Covers up to 6200 Sqf.